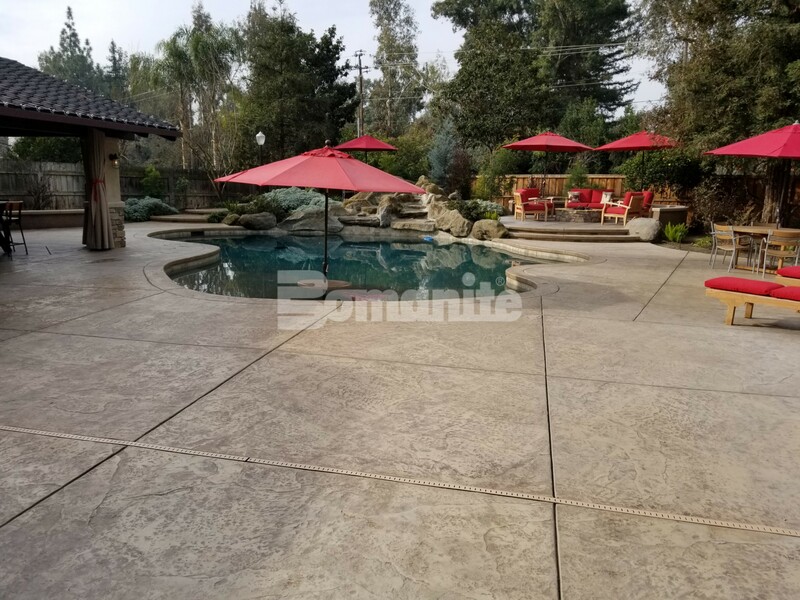 The expansive backyard pool deck and patio of 2,200 square feet were cast-in-place and stamped with the Bomacron Slate Texture for the majority of the space. Bomanite Sand Color Hardener with a Bomanite Light Brown Release Agent were used to provide a natural look for the Slate pattern. 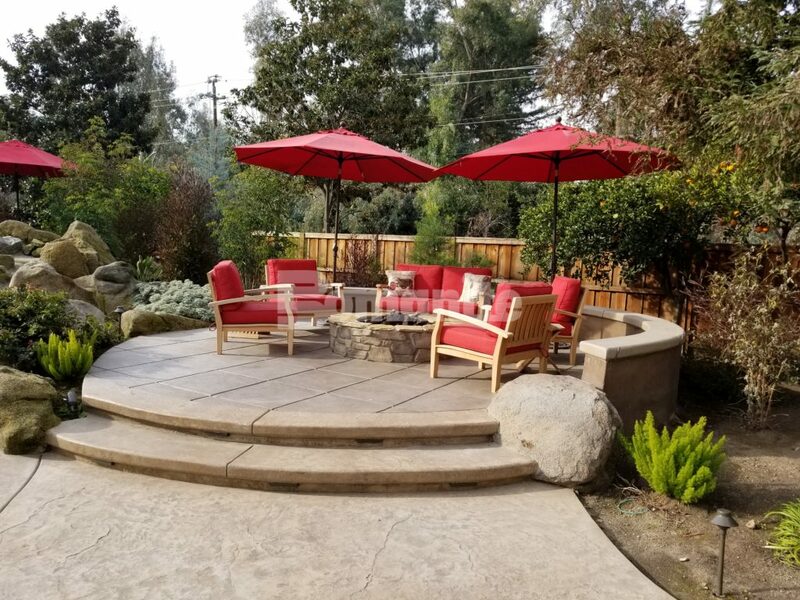 The textured concrete deck provides slip-resistance and durability. Two important benefits of the Bomanite Imprint System. 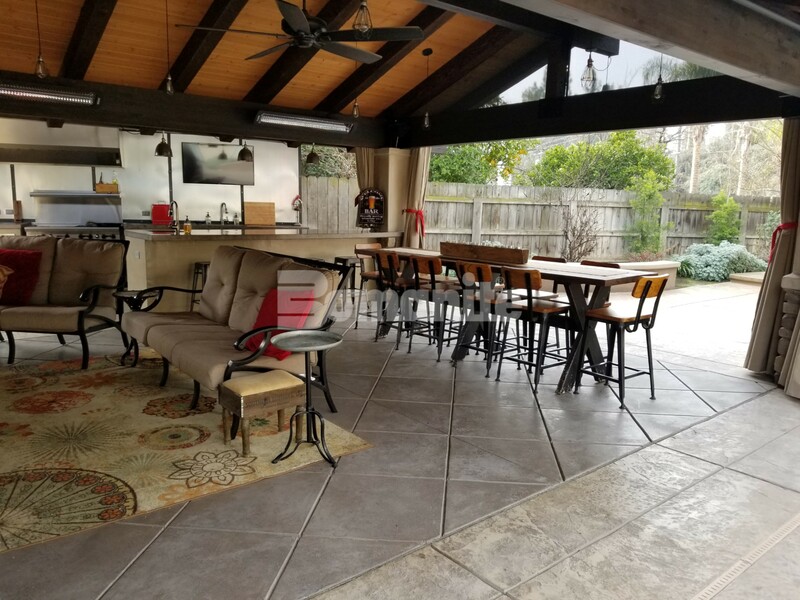 The Cabana houses a hi-end Top Chef’s kitchen with a polished concrete countertop, built in fireplace, four TV’s, hanging heaters and multiple places for dining, visiting and entertaining top-notch guests. The flooring for the seating area was proposed using the Antico Process in Bomanite Light Brown color with Sawcuts to provide that element of separation and design.